As a kid, Riley Pearce accidentally learnt guitar left handed while mirroring his idols on TV. From humble beginnings busking at farmers markets and playing open mic nights in Perth, alt-folk artist Riley Pearce is now selling out shows across Australia, winning awards and touring internationally. His breakout single ‘Brave’ has clocked up over 10 million plays on Spotify alone, making it clear that his reflective songwriting and chilled-out coastal vibes resonates with more than just folk music lovers. Riley has supported artists such as LifeHouse, Gomez, Tash Sultana, Lucy Rose, and Kim Churchill. 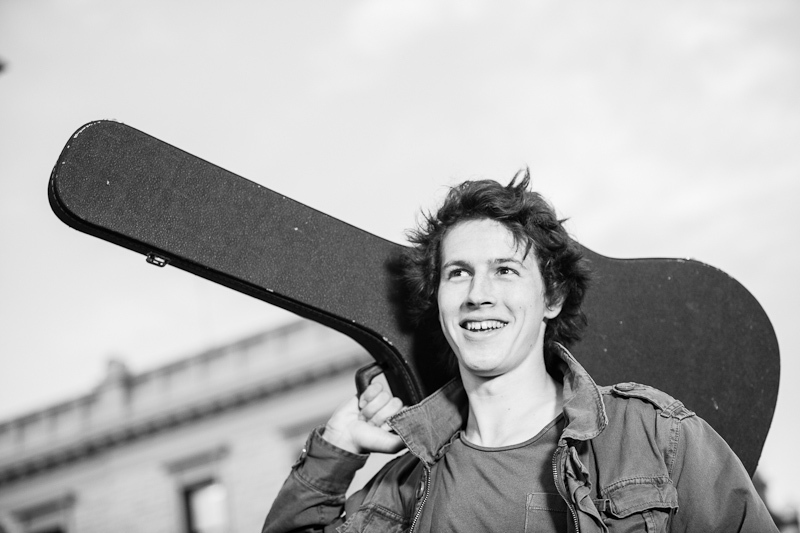 He won the WA Folk Music Song of the Year Award in 2017, had his music featured on US TV shows Shameless and Shadowhunters, has signed to Free Trade Agency in London and is touring UK/EU for 6 months. Hi Riley, first of all for the people that aren’t aware of you in our headquarter city Sheffield, can you tell me a bit about yourself? Hello, Sheffield! Sure thing. I am an Australian singer-songwriter. The music I play tends to be quite reflective but everything comes from the heart and I hope to always be creating something real that people can connect with. In my eyes your music has a mellow backing with somewhat a powerful story to be told through your lyrics to follow with it, can you tell me where your musical influences come from? Thank you, there’s probably two main aspects, I love a melancholy sound which is weird because it doesn’t rain much in Perth (where I live) and I’m a fairly upbeat and positive person but those sounds are the ones that I connect to most often. The other aspect is the lyrics, song and the story and this is the one that draws me in the most – great songwriters like Paul Dempsey, Leif Vollebekk, Andy Shauf. You’re first single ‘Brave’ was released in 2015 and has racked up over 12 million plays on Spotify. What do you think has changed from the release of brave in 2015 to your new EP Eastbound? It’s hard to tell, it’s probably easier for others to look at the changes from the outside. I’m not the best at describing myself and how my sound has shaped over the past few years. Brave was the most produced of the tracks on the last EP and I wanted to blend that into this new EP and really commit to the moodiness and the vibe for each song. I’ve read that “unintentionally all of the songs on eastbound ended up being about a different series of relationships in your life”. When it comes to writing songs do you think it builds your passion for music more writing about experiences close to your heart instead of writing about a drunken night out like many other young musicians do instead? Haha, I suppose so. It might be that I’m less rock & roll than most, my drunken night might not be as frequent as they was but I do feel more connected to the songs when everything is real. Some do come easy and I finish them when I’m still in that moment – that feels amazing, but sometimes it takes longer and you need to bring yourself back to that place for the sake of the song. You’re coming to the end of your huge summer tour in the UK/EU how’s the tour been? Incredible! I’ve been so lucky to play in so many countries and at some really amazing festivals, all for my first Europe tour. I hope I’m not too spoilt from this to not enjoy the next time I come back here. I’m already looking forward to it. The audiences are so respectful and really appreciate live music. 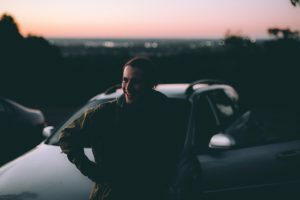 What’s life on the road like for Riley Pearce? It involves a lot of driving, sometimes locking the keys in the van, plenty of ice cream and playing a silly card game called Unstable Unicorns. What necessities are need when on the road? Did I already say ice cream? Finally what does the future hold for Riley Pearce now? I head back to Australia at the end of August for a tour and to promote the new EP. I’ll then try to channel the rest of the inspiration from this Europe trip into new songs whilst I can.